Hello Everyone! Day 4 is here and it was really tough to squeeze in time today. 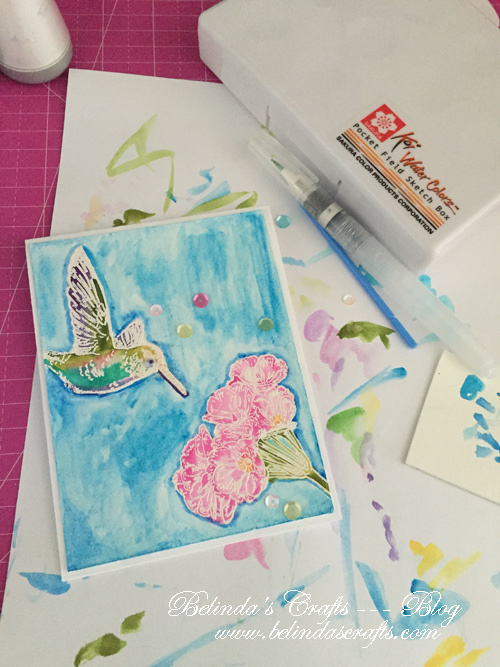 I was inspired by Kathy at The Daily Marker’s post today and wanted to whip out my embossing powder and water color paints. 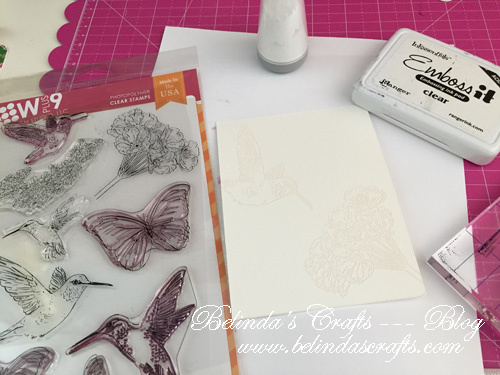 I used the WPlus9 Flora & Fauna stamps and heat embossed a hummingbird and butterfly (two of my favorites) on some watercolor paper. 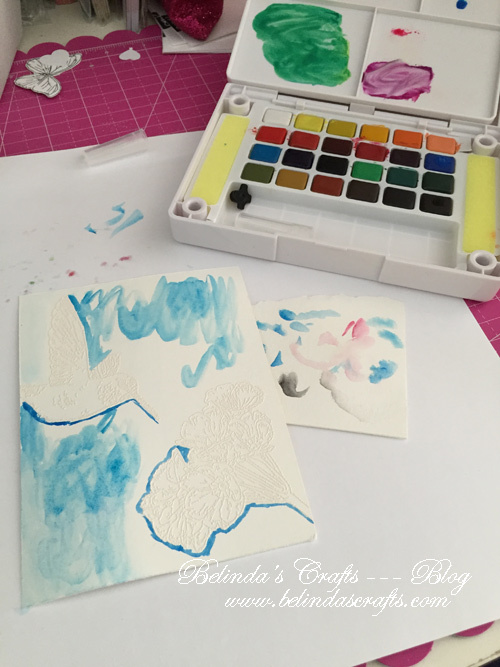 I used my Koi Water colors from Sakura and created a sky background. The funny thing is that I get nervous with water-coloring. Since I don’t have much experience with it. But it is actually very forgiving if you have a paper towel handy. Then I mixed some colors to paint the flowers and attempted to create some depth with shading. I have not glued those sequins down yet. I’m on the fence whether to use them or not. I like using my watercolor brush so I don’t have to have a cup of water but I think I will try it with my brushes to see what different affect it will create. Well I am in between making dinner and going to an open-house at a local school so I must go now.